Normally, a company in financial difficulties will first try to improve its situation through informal restructuring, avoiding the involvement of courts unless inevitable. Operational restructuring measures may include changes in management or the disposal of underperforming businesses. Other informal restructuring techniques are provided for by company law. The CO allows for the revaluation of immovable property and participations at their real value (as compared to the purchase value at which they are usually evaluated) if half of the company's equity and its legal reserves are no longer covered by its assets. Further, a company can gain capital through issuing new shares for consideration and thereby improving its debt-to-equity ratio. Another measure often used is the reduction, possibly to zero, of the share capital, followed by an immediate share capital increase. Some creditors may have a special interest in the distressed company's survival, for instance as shareholders of that company or if they are part of the same group of companies, and in one way or another contribute to its restructuring. This could be through the granting of a bridge loan until the company secures permanent financing or through waiving part or all of their claims. A creditor may also agree to subordinate instead of waving their claims. This is a technique often used, as Article 725 II CO allows postponing the notification of a judge in case of over-indebtedness, if claims in the amount of the capital deficit are subordinated to all other liabilities (i.e., generally subordinated). Although a subordination agreement itself does not constitute restructuring measures, as the financial situation of the company remains unchanged, it increases the chances for a distressed company to financially recover as it allows for more time to adopt restructuring measures. The two main types of formal restructuring and insolvency proceedings provided for in the DEBL are bankruptcy and composition proceedings.7 Unlike bankruptcy, composition proceedings do not necessarily lead to the dissolution of the company. In addition, the CO provides for a 'corporate law moratorium'. A company is placed into bankruptcy by the competent court upon request of either a creditor or the debtor itself. In addition, bankruptcy proceedings can be opened over a company ex officio, for example, because of serious organisational deficiencies. A creditor may file a request for bankruptcy if its claim has not been settled by the debtor although it was upheld in debt-collection proceedings. Further, a creditor may request the court to open bankruptcy proceedings without prior debt collection proceedings, if other reasons justify the immediate opening of bankruptcy proceedings, such as fraudulent behaviour or cessation of payments by the debtor. Finally, the debtor itself can request the opening of bankruptcy proceedings by declaring its insolvency – the board of directors even has a legal obligation to do so if the balance sheet shows that the company is over-indebted. The DEBL provides for two types of bankruptcy proceedings. Summary proceedings are commenced if the proceeds from the assets are unlikely to even cover the costs of the bankruptcy proceedings or if the case is of a simple nature. They generally do not entail creditors' meetings or a creditors' committee. In all other cases, ordinary proceedings apply. Once a debtor is declared bankrupt by the competent court, it loses the right to dispose over its assets, despite remaining the beneficial owner of its estate. The right is transferred to the bankruptcy estate, which is represented exclusively by the bankruptcy administration. The objective of the bankruptcy proceedings is the full liquidation of the debtor's estate, including all assets and liabilities, to satisfy all creditors in proportion to their claims against the debtor. All creditors participate in the bankruptcy proceedings, which means that all debt enforcement proceedings initiated before the declaration of bankruptcy come to an end and that no new debt enforcement proceedings against the debtor can be initiated by creditors on an individual basis. The bankruptcy administration publishes a notice inviting creditors to the first creditors' meeting and summoning them to file their claims and debts within one month and to hand over any collateral. The first creditors' meeting is entrusted with appointing either the public bankruptcy office or a private bankruptcy administrator as well as electing a creditors' committee, which is generally in charge of supervising the bankruptcy administration. It further decides on administrative actions, such as the continuation of the debtor's business activities. The bankruptcy administrator decides on the filed claims in the schedule of claims, which can be contested by the creditors before the competent court. The second creditors' meeting is convened to decide on matters such as the continuation of claims against third parties and the realisation of the debtor's assets (by way of public auction, private sale or assignment to a creditor). The proceeds are used to satisfy the creditors' claims in accordance with their rank.8 Secured creditors are satisfied before all other claims out of the proceeds from the sale of the collateral. Unsecured creditors are divided into three classes. The first class of claims mainly consists of claims arising from employment relationships with the debtor, accrued within six months prior to the opening of the bankruptcy proceedings. The second class encompasses claims from social security, health and unemployment institutions. The third class comprises all other unsecured and unsubordinated claims, accrued before the opening of the bankruptcy proceedings. Dividend distributions are made according to the creditors' ranking. The creditors in a lower class will only be satisfied if and to the extent the creditors of the higher ranking class have been satisfied in full. If the insolvency estate does not have enough funds to cover all claims in one class, the proceeds are distributed to the creditors of that class on a pro rata basis according to the claim amounts. After distribution of the bankruptcy estate among the creditors, the bankruptcy administration submits its final report to the bankruptcy court, which declares the proceedings closed, if it finds that the bankruptcy proceedings have been fully completed. Composition proceedings aim to protect a debtor from bankruptcy proceedings and alleviate financial distress. They are usually initiated by the debtor itself by supplying the court with financial statements and a restructuring plan.9 Composition proceedings may also be requested in ongoing bankruptcy proceedings by the debtor and a creditor. If a successful conclusion of a composition agreement seems possible, the bankruptcy court may even transfer the matter to the composition court ex officio. The composition court will grant a provisional debt moratorium, pursuant to Article 293a et seq. DEBL, and order measures to preserve the debtor's assets and appoint an administrator to assess the chances of restructuring and reaching a composition agreement with the creditors. If a successful restructuring or reaching a composition agreement seem likely, the composition court grants a definitive debt moratorium of up to 24 months, pursuant to Article 294 et seq. DEBL. In the opposite case, bankruptcy proceedings will be opened ex officio. During the (provisional or definitive) debt moratorium, the debtor is protected from further financial distress, insofar as no debt enforcement proceedings can be commenced against the debtor. Unlike in bankruptcy proceedings, the debtor may continue running its business, although under the supervision of a court appointed administrator. The latter may be required to approve certain transactions, such as the termination of contracts whose continuation would jeopardise the successful restructuring of the debtor.10 The disposal of fixed assets may require the approval of the composition judge or the creditors' committee, respectively. A composition agreement requires approval by a majority of the creditors and the composition court.13 Once approved, the composition agreement will be binding on any creditor whose claims either arose before the moratorium or have since come into existence without approval by the administrator. The agreement is not binding on secured creditors to the extent that their claims are covered by the collateral. If the composition agreement is rejected, the composition court will open bankruptcy proceedings ex officio. Composition proceedings may also result in an extrajudicial composition agreement. In addition, they may end without the need to reach any composition agreement at all if the debtor can be successfully restructured during the moratorium. The corporate law moratorium is provided for in Article 725a CO, which aims at enabling a distressed debtor to restructure. As explained below in more detail, the board of directors of a company is legally obliged to file for bankruptcy if the company is over-indebted. Upon application of the board of directors or a creditor, the court may grant a stay of bankruptcy proceedings. A stay is granted if there is a prospect of financial restructuring, which will usually be the case if the court has been submitted a realistic restructuring plan by the board of directors. In such cases, the court will render measures to preserve the debtor's assets. In particular, the court may appoint an administrator and define his or her duties. 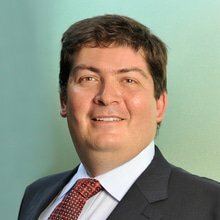 Since publication of the corporate law moratorium will usually have a negative effect on a company's business relationships and hence its restructuring efforts, the law allows for the non-publication of the stay of bankruptcy proceedings, unless this is necessary to protect third parties. The effects of the corporate law moratorium are not as far-reaching as those of a debt moratorium in composition proceedings: although a creditors' requests for opening of bankruptcy proceedings or for liquidation of the debtor's assets may not be granted during the moratorium, creditors can still commence debt enforcement proceedings against the debtor. There are several forms of security over assets in Switzerland. The most common ones are pledges, including both regular pledges and 'irregular pledges', which are not regulated by law. While a regular pledge does not entail a transfer of ownership but rather the mere possession of the collateral, the secured creditor under an irregular pledge not only becomes the possessor but also the legal owner of the collateral, which consists of money, claims or other chattels. Upon satisfaction of his or her claim, the owner has an obligation to return the collateral to the debtor in the same amount and quality. Often, the collateral is also transferred (if it is a non-fungible movable asset or real estate) or assigned (if it is a claim) by way of security. The impact of insolvency on such security rights depends on the type of security arrangement and the type of assets serving as collateral. Pledged assets form part of the bankruptcy estate, unless the collateral is not owned by the debtor but by a third party. If movable assets (as well as claims or other rights) have been pledged, the secured creditor is not allowed to privately sell the collateral but has to hand it over to the bankruptcy administration for liquidation with the other assets. The DEBL still guarantees the secured creditors' right to preferential satisfaction as the proceeds from the sale of the pledged assets will be used to satisfy the secured creditors in priority of all other creditors.14 Should the proceeds from the sale of the collateral not be sufficient to fully discharge the secured claim, the remaining amount ranks as unsecured and unprivileged claim. If real estate has been pledged, the effect of the opening of bankruptcy proceedings on such security depends on the maturity of the secured debt. Unlike all other claims, claims secured by real estate do not automatically fall due with the opening of bankruptcy proceedings.15 If the secured debt is due, the real estate will be realised by the bankruptcy administration and the proceeds will be used to satisfy the secured creditors. If the secured debt is not due, the real estate will also be realised by the bankruptcy administrator. The secured creditor will, however, not be satisfied. Instead, the debts will be transferred to the acquirer of the real estate and the pledge will remain in place. If the security arrangement includes a transfer of ownership under an irregular pledge or if the claims have been assigned or other assets transferred by way of security, such assets do not form part of the bankruptcy estate. The secured creditor is not required to hand the collateral over to the bankruptcy administrator and can, if permitted by the security agreement, liquidate the collateral privately. In composition proceedings, there is no obligation for creditors with a pledge on movable assets to hand in the collateral to the liquidator. During the moratorium, secured creditors are generally not allowed to commence or continue enforcement proceedings, unless the collateral consists of real estate. The liquidation of real estate is also excluded during the moratorium.16 If the proceedings result in a composition agreement, the agreement will not be binding on secured creditors to the extent of the claim covered by the collateral. After the moratorium is lifted, secured creditors can choose between commencing enforcement proceedings and liquidating the collateral privately, in accordance with the pledge agreement. Under Swiss corporate law, the board of directors has a general duty to safeguard the interests of the company, which includes the responsibility to ensure that the company remain financially sound and to take the appropriate measures to restructure the company should it be in financial difficulties. Further, depending on the balance sheet situation of the company the law requires the board of directors to take specific measures. The type of measures to be taken by the board of directors depend on the level of losses the company has incurred. A distinction is made between a situation of (1) 'loss of capital' (half of the company's equity is no longer covered by its assets) and (2) 'overindebtedness' or negative equity (the liabilities of the company exceed its assets). Taking timely action as described is a key component of the directors' duty to perform their tasks with due care. If they fail to do so, they risk becoming personally liable under Article 754 CO to anyone suffering losses (i.e., the company, shareholders and creditors), if an intentional or negligent breach of their duty of due care can be established. The relevant damage consists of the increase in the company's losses occurring between the point in time, in which the board learned about the situation of over-indebtedness (and failed to notify the bankruptcy judge) and the date on which the company is declared bankrupt. In a series of decisions,21 the Swiss Federal Court held that subordinated debts should be included in the calculation of the damage caused to a company in a director's liability claim as subordination does not constitute a waiver and thus not diminish the company's damage. This approach increases the liability exposure of directors, who try to keep the company alive by using the possibility of subordination rather than immediately filing for bankruptcy. The decisions have thus been subjects to criticism, arguing that company law encourages subordination as a last attempt to save the company22 and that the use of this instrument should not negatively affect directors, if the company subsequently has to file for bankruptcy. To ensure that all creditors are treated equally, the DEBL provides for a number of clawback actions. Assets, which the debtor has disposed of before becoming insolvent can be returned to the insolvency estate under certain conditions. Transactions entered into by the debtor may be challenged if the transaction was disadvantageous for the creditors. Only those transactions, for which the debtor did not receive appropriate consideration, are voidable and only upon the condition that the insolvency estate's assets are not sufficient to cover all claims. The contestability of such transactions is limited in two respects. On the one hand, they must have been concluded in a determined period of time prior to the opening of bankruptcy proceedings or the approval of a composition agreement with assignment of assets (suspect period). The length of the suspect period depends on the nature of the transaction challenged. On the other, the DEBL exhaustively enumerates the revocable pre-insolvency transactions. Gifts and other transactions free of charge or made without adequate consideration, which were entered into by the debtor within the year prior to the opening of bankruptcy proceedings or the grant of a moratorium in the case of a composition agreement with assignment of assets.23 The adequacy of the consideration is assessed objectively – the parties' intentions or their good faith are irrelevant. It is further irrelevant whether the parties were aware of the discrepancy between performance and consideration. The burden of proof for the inadequacy of the consideration generally lies with the party challenging, with an important exception: if the transaction favoured a related party, which includes companies belonging to the same group, the latter bears the burden of proof. Certain legal acts, by which some creditors are favoured over others, are voidable if they were made when the debtor was already over-indebted (i.e., the liabilities exceeded the assets). Such acts must have been carried out within a suspect period of one year.24 They include the granting of security for obligations which did not have to be secured, the payment of claims by unusual means or the payment of debts before they were due. If the counterparty can prove that it was not, and did not need to be, aware of the state of over-indebtedness of the debtor, the relevant transaction cannot be voided. Finally, the law provides for the general revocability of any act performed with the intention of the debtor of generally harming their creditors or favouring certain creditors to the detriment of the others.25 In contrast to the other grounds for voidability, the suspect period of time is five years. Article 288 DEBL accounts for its wide application by establishing strict requirements, making it hard for claimants to prevail on these grounds, as not only the intent of the debtor needs to be proven but also that such intent was recognisable for the recipient. If the latter is a related party the burden of proof is reversed (i.e., the recipient will have to proof that the intent of the debtor was not recognisable for them). A clawback action may be brought by the bankruptcy administration, a composition liquidator or a creditor within two years of the opening of bankruptcy proceedings or the court approval of the composition agreement with assignment of assets. If successful, the recipient has to return the assets to the insolvency estate or, should this not be possible, compensate the estate in cash. In turn, the recipient can claim back his or her own performance given in consideration of the revoked assets. Since its partial revision, which entered into force on 1 January 2014, the DEBL has not undergone any significant modification. The 2014 revision was adopted as a reaction to the insolvency of Switzerland's national airline Swissair, which exposed the shortcomings of Switzerland's restructuring scheme. 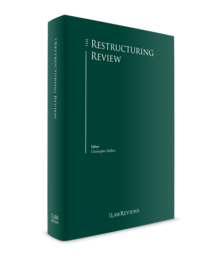 Its primary objective was to promote restructuring over liquidation in the context of composition proceedings through various amendments, which were discussed in earlier editions of this Review. In addition, for some years a revision of Swiss company law has been underway, which aims at promoting restructuring of a distressed company, mainly by introducing certain additional obligations of directors in the context of its duties under Articles 725 et seq. CO. The proposal introduces an early warning system, according to which the board of directors would be required to take measures, such as adopting a cash flow forecast for the next six or twelve (for companies subject to ordinary audit) months, if there are signs that the company might be in financial difficulties. Furthermore, the Federal Council suggested deleting the 'corporate law moratorium' from the corporate law sections in the CO and integrating certain of its advantages into the composition proceedings. The Federal Council adopted the related dispatch at its meeting on 23 November 2016, but it remains uncertain, if and when this revision will come into force. The same requirements apply to the recognition of a foreign composition agreement or similar proceedings. Even if the foreign insolvency decree is recognised, the foreign administrator is not entitled to at directly in Switzerland but may request for the opening of separate Swiss bankruptcy proceedings and the appointment of a local liquidator. The purpose of such ancillary proceedings is the liquidation of those assets that are located in Switzerland, thereby avoiding that Swiss creditors are disadvantaged. In a first step, only secured creditors and privileged creditors domiciled in Switzerland can participate. If said creditors are fully satisfied, any surplus is remitted to the foreign insolvency estate or the foreign creditor, but only upon recognition of the foreign schedule of claims in Switzerland. Recognition will be granted if creditors domiciled in Switzerland have been appropriately considered in the foreign schedule of claims. Otherwise, the surplus will be distributed to Swiss-domiciled third-class creditors. creditors of unsecured and unprivileged claims of a Swiss branch of a foreign insolvent entity can be listed in the schedule of claims in the ancillary bankruptcy. The revised provisions of the PILA were subject to an optional referendum, the deadline for which expired on 5 July 2018. The Swiss Federal Council is now expected to determine the date of entry into force of the revised PILA shortly; the date is likely to be in late 2018 or early 2019. 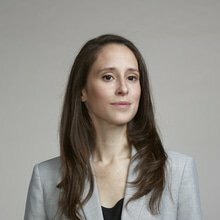 1 Daniel Hayek is partner and Chantal Joris is a junior associate at Prager Dreifuss. 2 Press release of the State Secretariat for Economic Affairs (SECO) dated 1 March 2018. 3 Press release of the SECO dated 20 March 2018 containing the economic forecasts by the federal government's Expert Group of spring 2018; press release of the SECO dated 9 January 2018 'The labour market situation in December 2017'. 4 Press release of the Swiss National Bank dated 15 March 2018 containing a monetary policy assessment. 5 Press release of the Federal Statistical Office dated 29 March 2018 containing figures on insolvency proceedings in the year 2016. 6 A number of laws and ordinances other than the DEBL contain additional provisions on insolvency, providing special insolvency regimes for certain types of debtors, namely financial institutions, collective investment schemes or insurance companies. 7 This chapter will only describe insolvency proceedings applicable to companies. 8 Note that Masseverbindlichkeiten (estate claims), which consist of claims arising out of transactions entered into after the opening of insolvency proceedings as well as the costs of conducting the proceedings, are satisfied with priority before any distributions are made to other creditors. 9 Creditors entitled to request the opening of bankruptcy proceedings, can also request composition proceedings under the same conditions. 11 Cf. Article 256 Paragraph 3 DEBL and Article 322 DEBL. 12 Notable examples of composition proceedings with assignment of assets are SAirGroup AG, Swissair Schweizerische Luftverkehr AG, Petroplus Marketing AG and Unifina Holding AG. 13 The composition court will only give approval under certain conditions, namely if the debtor's offer is reasonable compared to its financial capacities and the privileged creditors' claims are fully covered. 14 Article 219 Paragraph 1 DEBL. 15 Article 208 Paragraph 1 DEBL. 16 Article 297 Paragraph 1 DEBL. 17 Article 725 II CO.
18 Article 716a I CO.
19 Article 725 II CO.
20 Decision of the Swiss Federal Supreme Court of 2 October 1990, BGE 116 II 533. 21 Decision of the Swiss Federal Supreme Court of 9 June 2011, BGer 4A_91/2011 and of 2 September 2010, BGer 4A_277/2010. 22 Article 725 Paragraph 2 SCO. 23 Article 286 DEBL; Schenkungsanfechtung. 24 Article 287 DEBL; Überschuldungsanfechtung. 25 Article 288 DEBL; Absichtsanfechtung. 26 A detailed description of the status of these insolvency proceedings is contained in the Swiss chapter of The Insolvency Review (Edition 5). 27 Swiss law provides for more flexible rules on the recognition of foreign bankruptcy decrees on banks and other financial institutions. 28 The principle of reciprocity was further defined by the Swiss Supreme Court in its decision BGE 141 III 222 of 27 March 2015, stating that reciprocity is deemed to be granted where the foreign country recognises the effects of Swiss insolvency decrees in a similar – and not strictly identical – way as Swiss law. Consequently, the Supreme Court ruled that the Netherlands grant reciprocity to Swiss insolvency decrees.